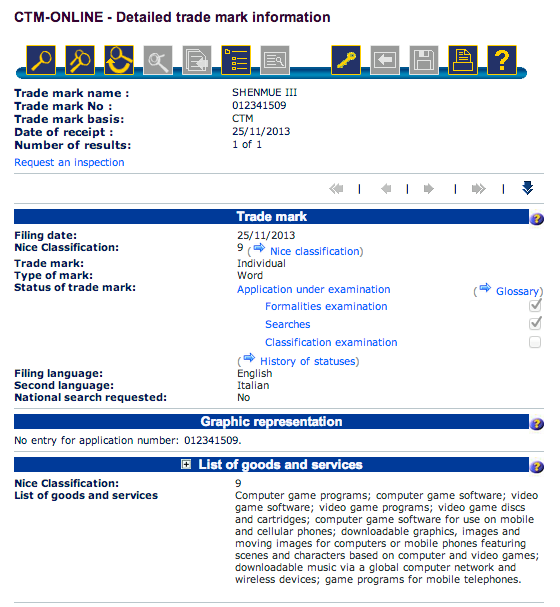 SEGA have filed a trademark for Shenmue III. This would be big news if it wasn’t for the fact that publishers do this all the time so that their intellectual properties are protected from usurpers. The interesting thing is that SEGA are obviously still thinking about the series. If the company are aware of the public’s desire for a sequel then at least that can give us some hope that a sequel might still be in consideration/development. More on this as we get it as the only source we have for the story is currently down due to the immense traffic they’re receiving. 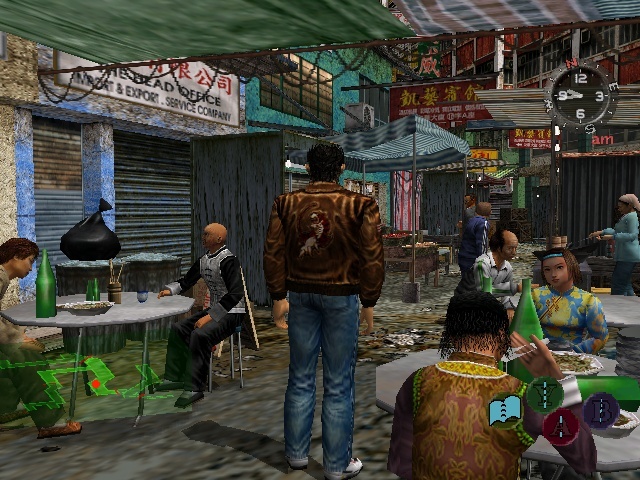 The trademark might also relate to the “postmortem” talk Yu Suzuki is doing at GDC 2014. This will discuss the whole of the Shenmue series an an hour-long talk translated by Mark Cerny. GDC runs from March 17th to the 21st in 2014. Sourced from Gamespot. Blimey! 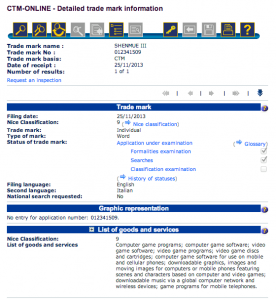 More details: SEGA have trademarked Shenmue III through the company R.G.C. Jenkins & Co. This is the same company who handled the Sonic Lost World trademark. You can find it yourself by going to the OHIM website (click here) and searching for Shenmue III. The Shenmue III trademark might be a fake. The trademark lacks an application reference number which would make the trademark legitimate. A similar hoax was recently registered with this same company on November 14th for Fallout 4. The registration was recently removed after it was proven to be a hoax. SEGA has officially confirmed that the trademark is fake and the listing has now been removed. Full details at from Eurogamer. This entry was posted on Wednesday, November 27th, 2013 at 15:09	and is filed under News. You can follow any responses to this entry through the RSS 2.0 feed. Both comments and pings are currently closed. « The Dreamcast Junkyard Reveal the Top 200 Dreamcast Games as Voted for by You!